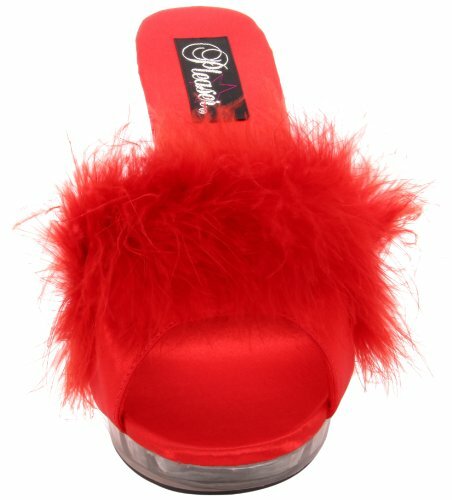 Stiletto heel marabou slipper lip mini-platform. 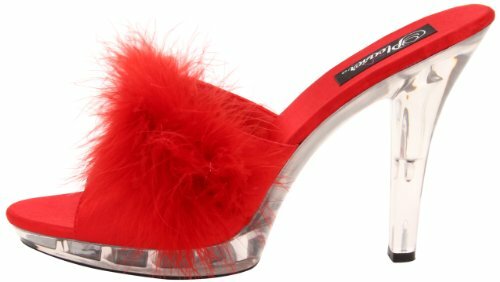 This ornamented slide sandal features an adorable stiletto heel with 1/2'' front platform rise and a faux fur upper for added appeal. 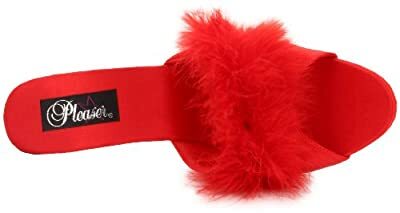 Material: Faux Fur, Satin, Synthetic.